Washington may be in for a very hot summer. I don’t mean the usual sweltering heat and suffocating humidity that are just a natural part of living in a former swamp (or “tidal plain,” if you prefer). While the rest of us will be sweating through another Washington summer. Republican Senators will be sweating in their well air-conditioned offices, now that President Obama has turned up the heat on GOP obstruction, with three nominees to the U.S. District Court of Appeals for District of Columbia Circuit. A partisan showdown is looming over what is known as the nation’s second-highest court, with President Barack Obama poised to nominate as many as three choices for the understaffed U.S. Court of Appeals in Washington in the face of a Republican proposal to distribute its vacancies to other parts of the country. The District of Columbia Circuit has been at the center of years of wrangling between the White House and the Senate because its judges have so much influence over national and even international matters. Many cases, heard on the fifth floor of the federal courthouse across from the Capitol, relate to the balance of power in Washington and review of actions by federal agencies that affect health, safety and the environment for all Americans. The White House is planning to pair Obama’s nominations with an aggressive push to get them confirmed despite a GOP bill to trim the number of judges on the D.C. circuit. “Republicans are taking their attempts to manipulate the federal judiciary to an entirely new level,” Obama senior adviser Dan Pfeiffer said in a written statement that the White House planned to post on its blog Wednesday as part of its campaign on judicial nominations. Two weeks ago, I wrote about how Republican obstruction is wreaking havoc in our courts. It looks like President Obama is taking the fight to the GOP, and doing so in a very public. By trying to fill all three vacancies on the court at once, the president has created a story that’s bound to get media attention, and shine a white, hot spotlight on Republican obstruction. Democrats say Republicans in the Senate have violated long-standing traditions by routinely requiring 60 votes to approve even the most uncontroversial legislation or nomination. But (as with climate change) actual reality is quite different from Republican “reality.” In fact, the courts are one of the best examples of how Republican obstructionism can causes real crises in our government. Republicans claim that they’re not obstructing the president’s nominees, and that Obama’s nominees are being confirmed faster than George W. Bush’s nominees were. Numbers don’t lie, and the numbers tell quite a different story. The Senate has confirmed fewer of Obama’s nominees than it has under previous presidents. Just 160 nominees were confirmed during Obama’s first term, compared to 200 during Bill Clinton’s first term, and 205 during George W. Bush’s first term. Obama’s nominees make past the Senate Judiciary Committee pretty quickly, but their nominations come to a dead stop on the Senate floor with just on “no” vote from any Senator. President Obama’s nominees have waited longer for confirmation than those of previous presidents. In his first term, Obama’s judicial nominees waited an average of 116 days for a floor vote in the Senate — three times longer than the average wait of 34 days for George W. Bush’s nominees. Some have waited more than 200 days, or even as long as 400 days. Republicans claim that real problem is that the White House has presented fewer nominees, due to an extensive, time-consuming vetting process. Again, the numbers tell quite a different story. Judicial vacancies have gone up 51 percent under President Obama. Nearly 10 percent of federal judicial seats have been vacant since Obama took office — the longest period of judicial vacancies in 35 years. But it’s not because President Obama hasn’t been sending nominees down the pike. In fact, he’s not all that far behind his most recent predecessors. Obama offered 215 nominations in his first term, compared to 247 in Bill Clinton’s first term, and 231 in George W. Bush’s first term. The dearth of nominees is due to Republican Senators refusing to recommend nominees from their home states. It’s not up to the president alone to nominate potential judges. Senators have always had a role in the process. Republicans have simply refused to participate in recommending potential nominees. On its face, the absence of nominees would appear to be a sign that President Barack Obama is slacking. After all, he is responsible for nominating judges, and he did put forward fewer nominees at the end of his first term than his two predecessors. But a closer look at data on judicial nominees, and conversations with people involved in the nomination process, reveals the bigger problem is Republican senators quietly refusing to recommend potential judges in the first place. …In total, 25 of the 61 vacancies without nominees are in states with two Republican senators, and another 14 are in states with one Republican senator and one Democratic senator. Seventeen are in states with two Democratic senators, and the remaining five are in other districts. That means many of the vacancies without nominees can be traced back to Senate Republicans who just aren’t participating in the process – a reality that flies in the face of Republicans’ chief complaint that Obama isn’t putting forward enough judicial nominees. One might conclude that the reason that (with the exception of Obama’s nominees to the Supreme Court) Republicans haven’t bothered to say Obama’s nominees are extremist liberal judicial activists is because they aren’t. One nominee after another seems to have been chosen with winning bipartisan support in mind, and the few that were more strongly progressive, like Goodwin Liu, were offered nothing resembling strong backing from the White House when they ran into GOP opposition (Robert Kuttner gives details on Liu’s nomination and the broader issue here). That’s probably because the process has produced a raft of uncontroversial nominees, who get voted out of committee with bipartisan support and little to no opposition. That hasn’t stopped Republicans from blocking even uncontroversial nominees, but it’s deprived them of any real ideological justification for doing so. Perhaps the funniest Republican reaction to Obama’s three nominees to the D.C. Court of Appeals is the accusation that the president is involved in “stacking the court.” If anything, Republicans want to keep the court stacked with conservatives. If anyone knows how to stack the courts, it’s the GOP. As William Yeoman’s noted in The Nation last October, Republicans already stacked the courts. They practically invented it. Yeoman’s pinpoints a 1971 memorandum from corporate lawyer Lewis Powell to his friend, U.S. Chamber of Commerce official William Snydor, as the beginning of the conservative movement to capture the judiciary. Conservatives and corporations embraced the idea of conservative “judicial activism.” Wealthy conservatives followed Powells advice to adopt the tactics of progressive organizations and civil rights groups, and poured money into public interest law firms and organizations. It worked. In 1997 the U.S. Chamber of Commerce launched the National Chamber Litigation Center, to represent corporate interests in the Supreme Court and lower courts. Yeoman’s recounts the NCLC’s astonishing record of success. 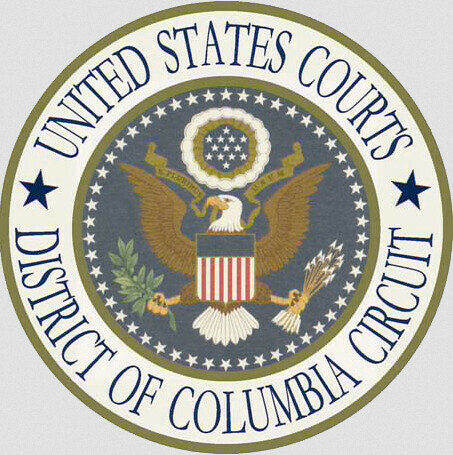 … Today, the NCLC ranks second only to the US solicitor general in appearances before the Court. And its success rate before the Roberts Court rivals-and this past term has outstripped-that of the solicitor general. In fact, the NCLC’s roster of wins before the 2010-11 Supreme Court term reads like a top ten list of the corporate world’s efforts to strangle working Americans and maximize profits. Its victories included thwarting class-action claims of gender discrimination at Walmart; forcing individuals to have their claims against big corporations settled in arbitration rather than gaining access to the courts; beating back litigation by states and municipalities seeking to regulate greenhouse gases; defeating claims for damages caused by the defective design of vaccines; limiting recovery by whistleblowers; restricting the reach of US law over foreign manufacturers of defective products; and blocking suits by private citizens against brokerage firms for making false statements about securities. The Supreme Court traditionally agrees to hear fewer than 2 percent of the cases it receives for review. In the 2010-11 term, the NCLC urged the Court to review thirty cases, and the Court heard twenty-one of these-a stunning 70 percent success rate for the Chamber. In the most recent term, that percentage fell to a still remarkable 52 percent. And, strikingly, in the eight cases in which the Court reached the merits of the issue briefed by the NCLC, the NCLC won all eight. The solicitor general opposed the NCLC’s position in five of those cases and lost all five. The Court repeatedly chose corporate interests over those of the government. These separate strains of legal conservatism-the political and the economic-came together after the election of Ronald Reagan, who ran on a pro-corporate platform that echoed Republican attacks on the courts. Reagan installed Edwin Meese as his second attorney general and filled the Justice Department with young conservative lawyers, many of whom grew into conservative judges, such as John Roberts and Samuel Alito. Meese used the Justice Department as a think tank for the conservative legal movement. Its Office of Legal Policy produced ideologically driven work that emphasized a limited view of federal legislative and regulatory authority, revitalization of the takings clause as a defense against regulation, and rejuvenation of the contract clause, which had been used by the Supreme Court to invalidate labor laws in the first third of the twentieth century. The office also urged restrictive access to the courts and questioned the broad federal pre-emption of state law, which often worked against corporate interests. Finally, the Meese Justice Department, knowing that it had a constituency clamoring for conservative judges, identified conservatives like Scalia and Kennedy for nomination to the Supreme Court, along with youthful Court of Appeals judges plucked from the Justice Department. Reliance on ideology as a dominant consideration in selecting judges represented the fulfillment of Lewis Powell’s vision. It demonstrated the fundamental understanding that the most direct way to change the law was to appoint reliable ideologues to enforce it. One can hardly blame the GOP for squawking about Obama’s attempt to undo decades of by Republicans’ to stack the courts with conservative judges. But the president is hardly stacking the court. If anything, Obama is trying to “un-stack” the court. President Obama has pressed senators from both parties in recent weeks to confirm a new federal judge for one of the country’s most powerful courts, using an aggressive strategy to campaign for a judicial nominee whom White House officials consider a potentially crucial figure in boosting the president’s second-term agenda. The effort reflects a new White House effort to tilt in its favor the conservative-dominated U.S. Court of Appeals for the District of Columbia Circuit, which is one notch below the Supreme Court and considers many challenges to executive actions. … In January, the court threw out a decision by the National Labor Relations Board on grounds that the recess appointments Obama made to the board were invalid. Since then, the court has put dozens of NLRB cases on hold, prompting concern in organized labor, a key Obama base. “It’s no exaggeration to say the workers’ rights agenda is either on hold or blowing up at the D.C. Circuit, in the hands of a few conservative judges,” said Lynn Rhinehart, general counsel for the AFL-CIO. The court is just as influential when it comes to environmental cases. It has exclusive jurisdiction over national rules issued under the Clean Air Act and the Safe Drinking Water Act, among other laws. It will have the power to block Obama’s efforts to regulate greenhouse gas emissions. Contrary to what Republican’s claim, President Obama isn’t engaged in some nefarious plot to drive conservative judges from the bench. He’s doing what every president before him has done; staff government with qualified individuals, with an eye toward carrying out the agenda he ran on, and that a majority of Americans voted for. In other words, he’s just doing his job. Filling empty seats is not “court stacking.” Eliminating empty seats, as Republicans are attempting to with the three empty seats on the D.C. Court of Appeals, is an audaciously lame attempt to preserve an already-stacked court, or at least leave it evenly divided. It’s akin to what Republicans wanted to do to the Electoral College after losing the 2012 election — change the rules in their favor, to ensure they win next time. Kids do it every day, on playground all over the country. It’s my five-year-old’s favorite fall back: if you’re losing, change the rules of the game. By drawing a line in the sand and daring Republicans to filibuster his three nominees to the Court of Appeals, President Obama is announcing an end to the GOPs “playground politics.” The president may be on the verge of deftly painting the GOP into a political corner. If Republican senators go the filibuster route, they could end up facing the business end of their own rhetoric if Democrats chose the “nuclear option,” to overcome filibuster threats. Meanwhile, as Jonathan Bernstein notes, President Obama has turned the Appeals Court nominations and GOP obstruction into news stories that are only going to get more exposure as the summer wears on. Once you start going after individual nominees, the chances of the news media paying attention go up, since reporters need individual protagonists to drive their stories. The Republicans’ preferred outcome would be that they can filibuster court nominees without all that much attention being paid, letting the nominations languish in the hopes that by the time we get to 2016 the vacancies will still be there waiting for a Republican president. But if the Obama administration succeeds in making this a genuine public controversy, they’ll have to make substantive arguments for their filibusters. And “Obama is trying to pack the courts!” probably isn’t going to cut it. It all has the makings of one hot summer in Washington — especially for Republicans.